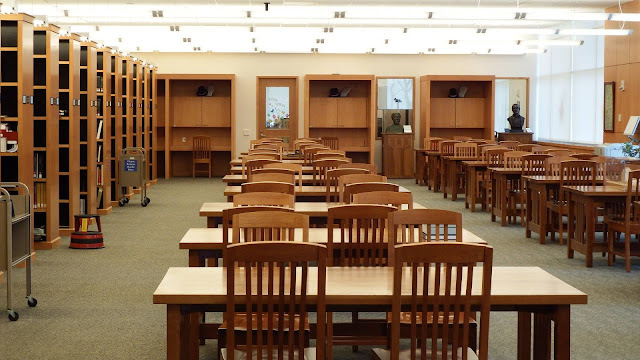 The Digital Research Library of Illinois History Journal™: My Private Tour of the Lincoln Library Vault in Springfield, Illinois on the 150th Anniversary (April 15, 2015) of President Lincoln's Assassination in 1865. 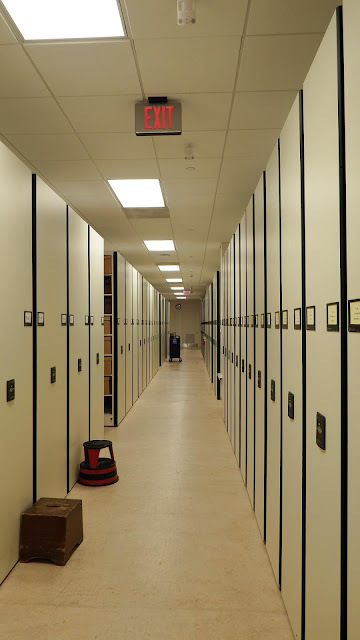 My Private Tour of the Lincoln Library Vault in Springfield, Illinois on the 150th Anniversary (April 15, 2015) of President Lincoln's Assassination in 1865. 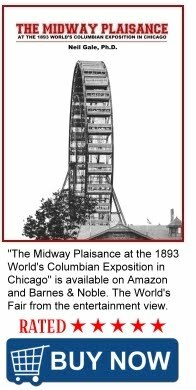 In March of 2015, when I judged for the Illinois History Day state finals for junior and senior High School students history fair projects and research papers. 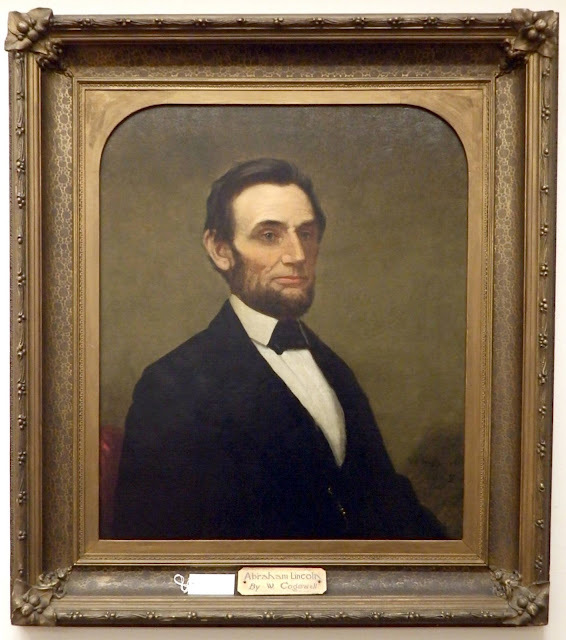 Pete Harbison, the Student Historian Program Coordinator, invited me to visit the Abraham Lincoln Library and Museum for a private tour of the vault (which I found out rarely happens) on the 150th Anniversary on April 15, 2015 of President Lincoln's Assassination. When I arrived at the Lincoln Library, Pete and I were joined by Dr. Sam Wheeler, the Research Historian for the Lincoln Library (today Dr. Wheeler is the State Historian and Director of Research, Collections, and Library Services). Our first stop was the Library’s research room. Here is where the public may request materials to study. There are not many books on the shelves so you need to ask the librarian for the material you wish to see. 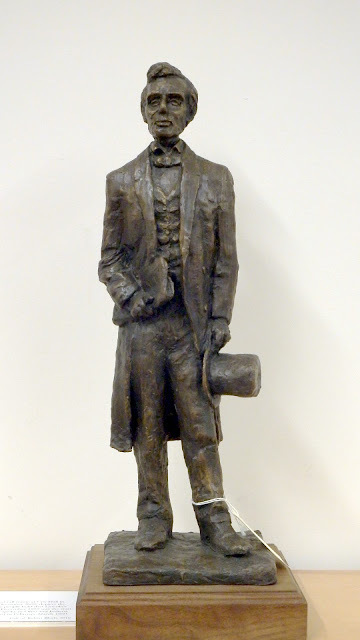 The thousands of Lincoln artifacts not displayed in the Museum are stored at the Library. I was taken to a sub-level where there are 6 miles of movable, electronic filing shelves. 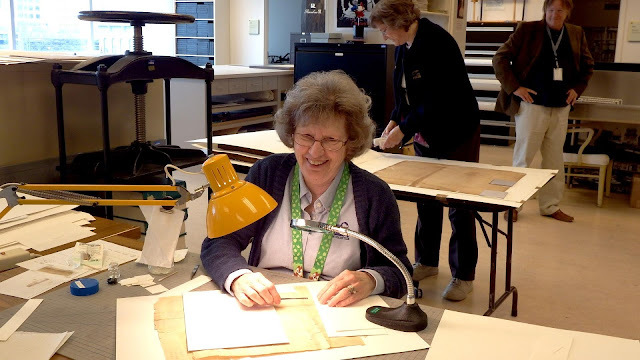 The Preservation Department is a very important function of the Library. I was introduced to the staff and allowed to take a few photos. They were working on a few projects. 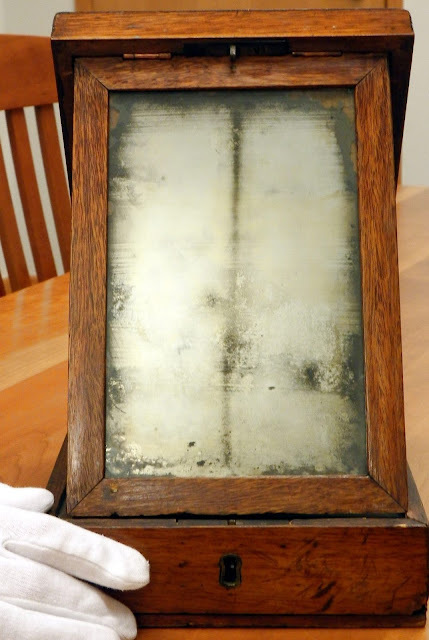 This project being the removal of tape residue from a Lincoln document from the mid-1850s. 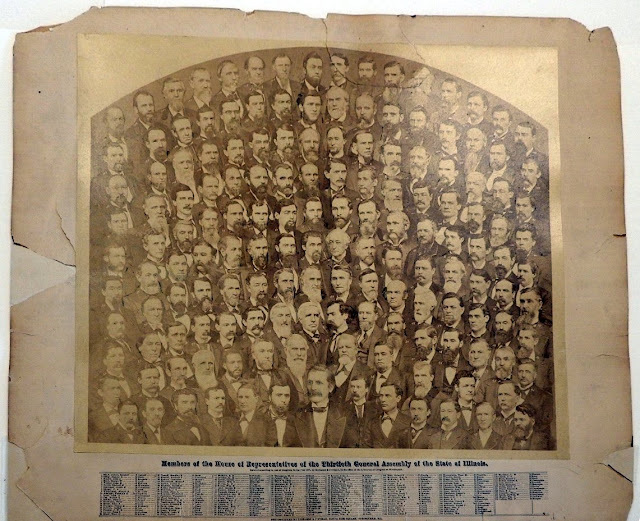 Another person was working on the preservation of the “Members of the House of Representatives of the thirteenth General Assembly of the State of Illinois” photo-montage. I was escorted into a small private conference room in in the sub-basement where Sam left for a few minutes and came back pushing a cart with boxes and items on it. The painting and bronze statute were in the conference room along with some other historical artifacts that were never displayed to the public or were removed from the Museum for a change of exhibits. I was privileged to be allowed to photograph a couple of the items Sam brought to show me, but not all of them. He told me that these were some of his personal favorites. 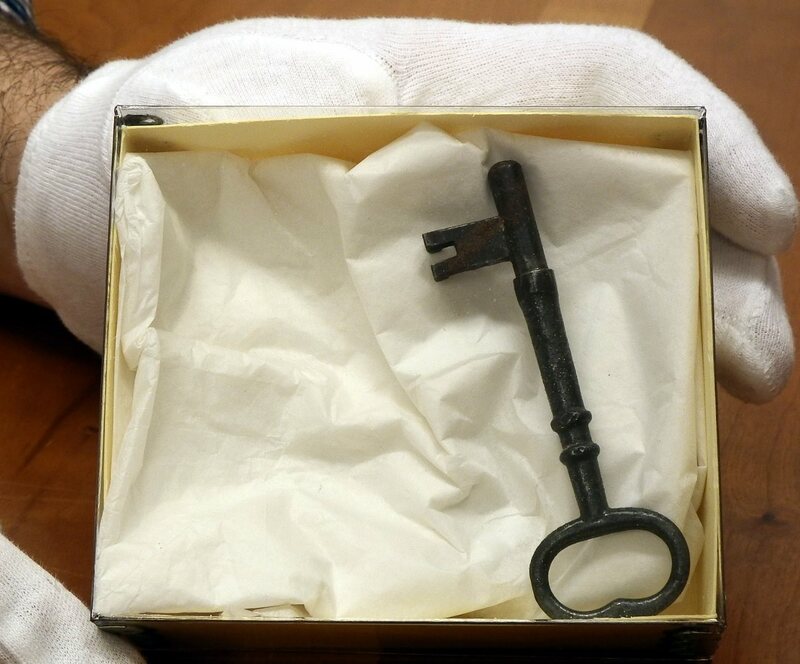 The first item is Lincoln’s personal house key. The same house as the “Lincoln Home National Historic Site” at 426 South 7th Street in Springfield where the Lincoln's really lived. I can just imagine Lincoln using this key every day! The second item is Lincoln’s personal travel shaving kit which he took with him on his travels. 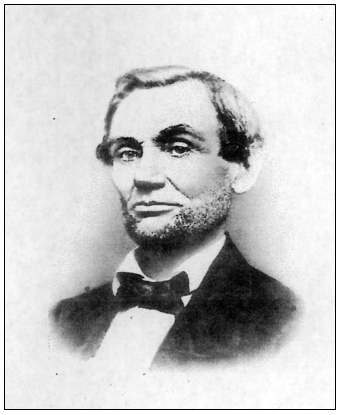 Lincoln was clean-shaven when he began running for president. What you see is the kit open and the highly polished metal reflective surface (a crude mirror) Abe would look into to shave. Abraham Lincoln's first whiskers in 1860. Little Known Fact: By growing a beard, Lincoln nearly bankrupted a young entrepreneur named Milton Bradley, who had a booming business selling daguerreotype photographs of the clean-shaven candidate. Bradley destroyed his supply of daguerreotypes and turned to designing board games to make a living. I was shown (no photos allowed) a beautiful Tiffany (from New York) heart pendant owned by Mary Todd Lincoln. On one side were perfect diamonds (of course - it's Tiffany after all) covering the entire heart – on the reverse side was a single flawless heart cut diamond allowing you to view the spectrum of colors from the reverse side diamonds making it see-through. Now comes my favorite. I saw a handwritten letter from Mary Todd Lincoln the day after the assassination, written on mourning stationery (black bordered paper) where Mrs. Lincoln is giving instructions (i.e. her last will and testament) about what she desired after her death. She thought her sorrow was so massive that she was going to die any minute. The very first sentence asked that she be in state, open casket, for 48 hours. She was very afraid of waking up after being pronounced dead and buried alive. (The term "Dead-ringer" comes from people being buried [doctors sometimes didn't know if a patient was still alive] with one end of a rope in the casket and the other end hooked to an above ground bell. If the person awoke in the casket, they would pull the rope ringing the bell to summon help in digging them up before suffocating). Last but not least, I saw 1 of the 3, real Lincoln stove-top hats. This was an early one, before becoming President. It is made of beaver fur where the other two surviving hats are made of silk. There were two worn spots on the brim where the fur had worn through. It is where Lincoln's fingers would grab the hat's brim to tip it in greetings. All in all --- a wonderful way to celebrate the 150th anniversary of President Lincoln's assassination. Outstanding! Thank you for sharing. I just finished reading the book "Twenty Days" by Kunhardt & Kunhardt. Lincoln has always been a favorite reading subject for me. John J. Kornfeind originally from Freeport, Illinois site of the 2nd Lincoln Douglas Debate of 1858 and the resultant "Freeport Doctrine"
According to https://www.phrases.org.uk/meanings/dead-ringer.html there is no evidence for that origin of "dead ringer".